DoSomething.org, the largest not-for-profit exclusively for young people and social change, announced its 10th annual Celebs Gone Good list, which celebrates stars who have used their influence to change the world in 2018. Beyoncé used her enormous star power for social change and earned a spot on the Celebs Gone Good list. The Grammy winner continued her mission of good this year, bringing attention to cancer and disease research with her performance at the City of Hope Gala and helped raise funds for the WACO Theater in her home state of Texas. Hamilton creator Lin-Manuel Miranda has been "non-stop" this year, from starring in "Mary Poppins Returns" to supporting March For Our Lives and When We All Vote. Miranda has also continued to raise money for Hurricane Maria relief by staging Hamilton in Puerto Rico. Other Celebs Gone Good honorees include Troye Sivan, who raised awareness for LGBTQ rights and Chance The Rapper, who pledged $1 million for mental health services in his hometown of Chicago, earning a spot on the list for the second straight year. Reese Witherspoon made her voice heard by saying #TimesUp standing up for all survivors of sexual harassment and abuse. In addition to the Celebs Gone Good list, DoSomething.org chose Celebs to Watch in 2019, six young talents who are primed to make a huge social good impact next year. For more information about Celebs Gone Good, visit CelebsGoneGood.com. For more information about DoSomething.org, visit DoSomething.org. 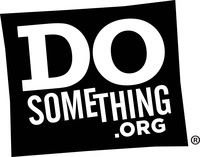 DoSomething.org is the largest tech company exclusively for young people and social change. We're activating 6 million young people (and counting!) to do good in every US area code and in 131 countries. Using our digital platform, members join DoSomething's volunteer and civic action campaigns to make offline impact at scale. Our members have clothed half of America's youth in homeless shelters. They've cleaned up 3.7 million cigarette butts. They've run the world's largest youth-led sports equipment drive. And more! Young people have the power and the passion to transform their communities -- we help them get it done. Let's Do This.